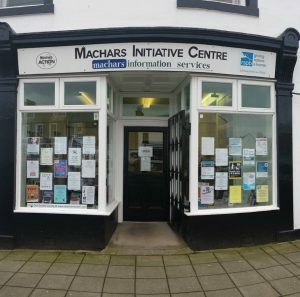 Machars Action was set up in 1995, to provide community development support and information to an area of high rural deprivation and low wages. The project was originally staffed and resourced by the Economic Development Department of the then Regional Council, but was soon developed as a Company Limited by Guarantee with charitable status. The Directors are drawn from the Community Councils and Business Associations of Mid Galloway, plus two elected members of Dumfries & Galloway Council (since the Council has been the main funder of Machars Action’s core activities) and up to three independent members. The Company’s work has changed over the years as needs have changed and has been influenced by the development of Wigtown as Scotland’s National Book Town (an initiative nurtured in its early stages by Machars Action). The Company is the only organisation in the Mid Galloway area that gives local communities access to affordable support services, a ‘one stop shop’ point of contact, a comprehensive guide to local events and community resource centre.